This one started as a doodle of the guy in panel 1 and just descended into madness from there. My eye is fine, really. Panel 1: The guy looks up through his sun roof as a drop of possibly acid rain heads for his eye. 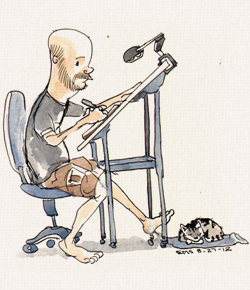 Panel 2: The guy is sleeping, out cold, and it looks like his cat is batting at his dangling eye with his paw. 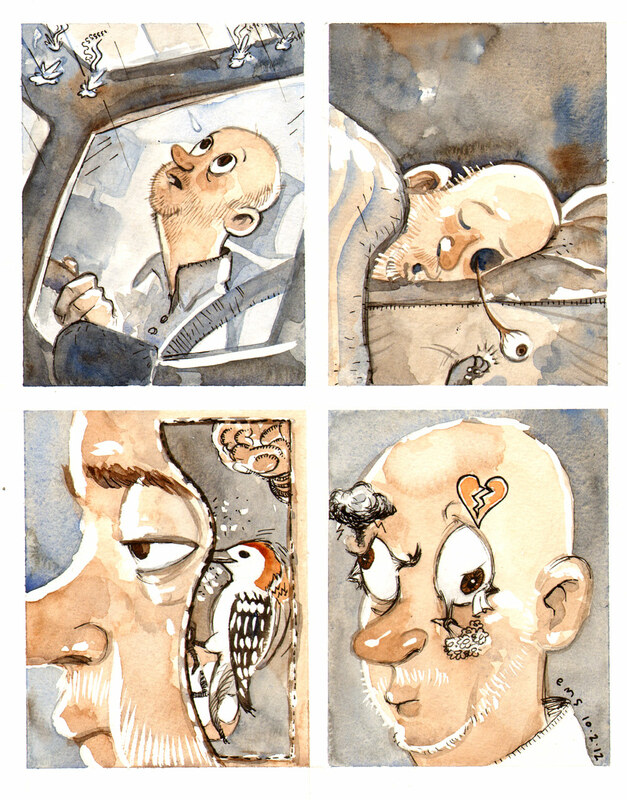 Panel 3: We get to look inside the guy’s head to discover that red bellied woodpecker is foraging for bugs in his eye. Panel 4: Oddly, it looks like his right eye is refusing the romantic advances of his left eye. Nah, I’m sticking with the red bellied woodpecker. Cheers. Absolutely loving your monsters.